The Poquoson Museum offers the opportunity to commemorate a loved one, or honor a friend, in the form of a contribution to the museum. Cash gifts are deductible to the fullest extent of the law. 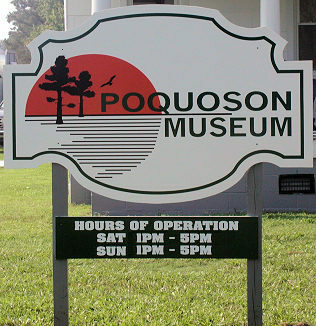 The Poquoson Museum is a 501(c)3 nonprofit organization. Poquoson Community Center, 49 Odd Rd. Meetings are open to any and all who are interested in the Museum's efforts and have questions, or simply wish to meet some of the Museum membership. Living History Event in Commemoration of the 75th Anniversary of WWII and the 100th Anniversary of WWI. We salute all veterans for their sacrifice for this country! The Master Gardener's and Parks and Recreation are offering a fun filled day for children at the Learning Garden! 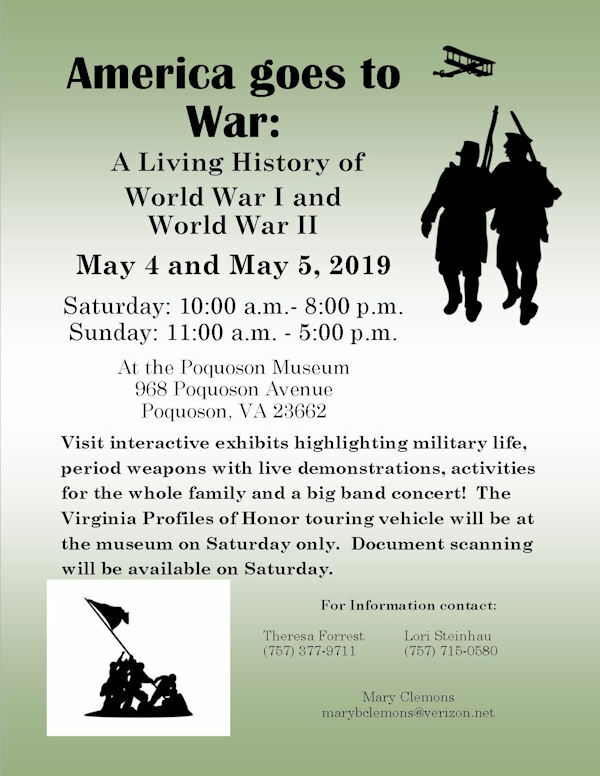 This year this event will be held at the Poquoson Museum grounds. It is a big event for the Masonic Lodge, please come out and support them! This will be the first annual commemoration of the Vietnam War. There will be re-enactors, a DJ and more! Please come and join us in honoring Vietnam Veterans! Professional Photographers often use the Poquoson Museum as a venue for taking photos for paying clients. 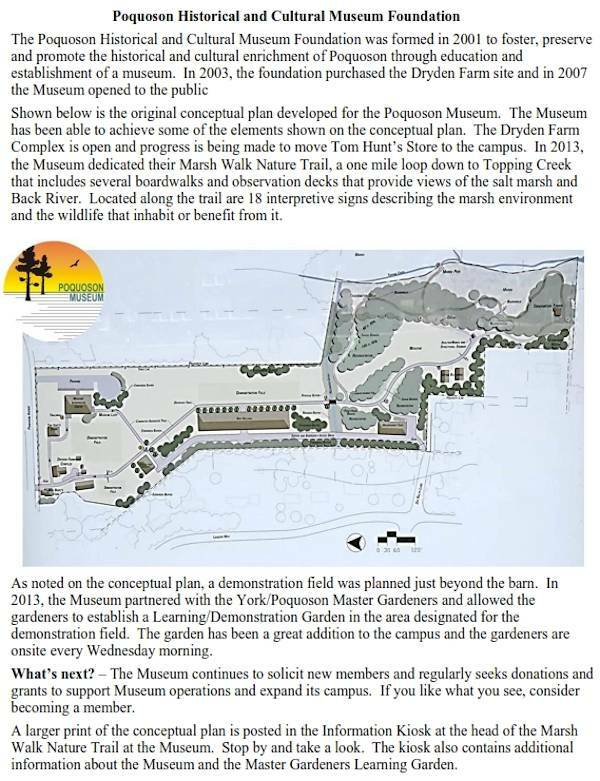 The museum board recognizes that the museum campus does offer a great location for backgrounds in many cases. Prior to professional photographers taking photo sessions on museum property, they are advised to contact the museum president Mr. Paul Whitlow. Discussions are necessary between the two parties to ensure the photographer and the museum can agree on a Memorandum of Understanding. Mr. Whitlow may be contacted at 868-6899. 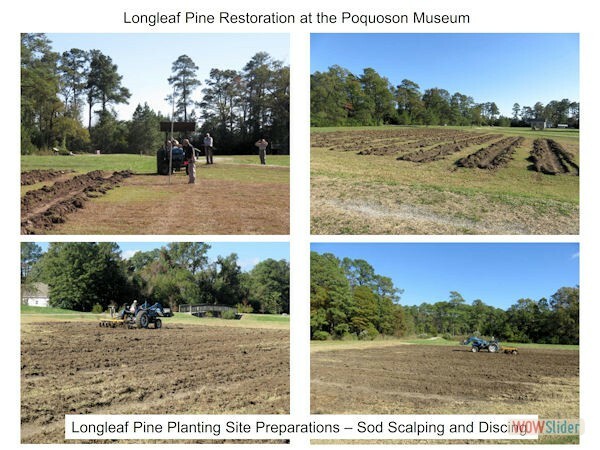 The Poquoson Museum, a volunteer operated community museum, needs your help! 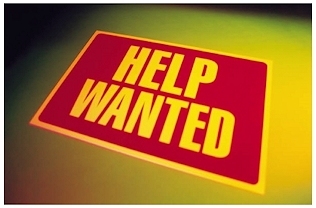 We are looking for individuals who can spare one Saturday or Sunday afternoon a month to help man the museum as docents (training provided). 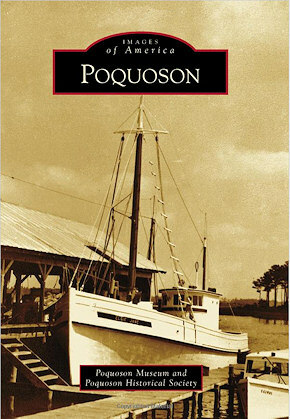 The Poquoson Museum and Poquoson Historical Society will be debuting a new book in early June, chronicling the history of Poquoson. The Museum partnered with the Historical Society and Arcadia Publishing to develop a photographic history book of Poquoson titled "Images of America: Poquoson". The Museum and Historical Society worked together in collecting material for the 200 photographs in the book. The Poquoson Museum gift shop will have books available for sale at $22 each, and we pay the tax. Poquoson residents may also purchase a book through any of the Museum or Historical Society membership. The Museum and Historical Society strive to preserve and promote the history and culture of Poquoson, and proceeds from the sale of the books will help in providing necessary funding for the operation of both groups. To easily place an order with a museum or society member, please call 869-4025 or 868-6899. 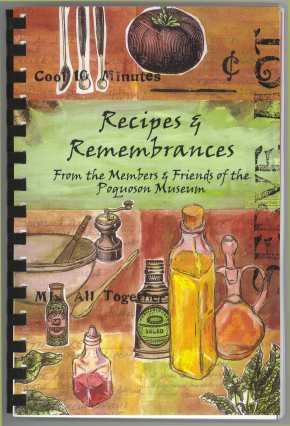 The Poquoson Museum has published a first edition cookbook, titled Recipes & Remembrances from the members and friends of the Poquoson Museum. The book contains 250 delicious recipes arranged in eight categories.Helpful hints are included at the beginning of each section of the book, and additional information to assist the cook preparing and presenting meals is an added bonus. The first edition cookbook can be yours for $10 per copy. If mailed, add $3 for shipping and handling per book. This cookbook will complement your collection and will also make a perfect gift for a loved one or friend. If you are interested in purchasing, or have questions about the book, contact Paul Whitlow at 868-6899.
! 2019 Membership Dues ! Museum members, and those wishing to become members, are reminded that 2019 membership dues are due. Membership Forms can be downloaded using either the pull-down link at the top of the webpage, or the link button on the left side of the webpage. Complete the form, selecting the membership category and dues amount that is best for you. You may mail your form to the museum PO Box address provided on the form. Thanks for supporting the museum and please visit the website often to remain aware of up coming events. 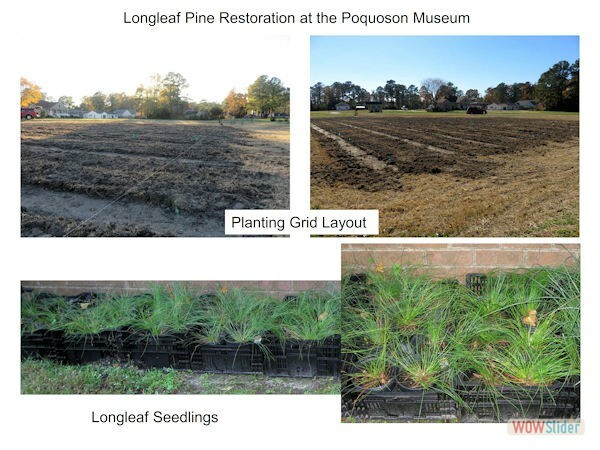 Buildings and Grounds: With the recent improvements around the Poquoson Museum's Campus, the Museum is looking for volunteers to help with the Buildings and Grounds Maintenance. or replaced. Help with repair and replacement of boards. c. Occasional trimming of bushes along the wooded portion of the trail. 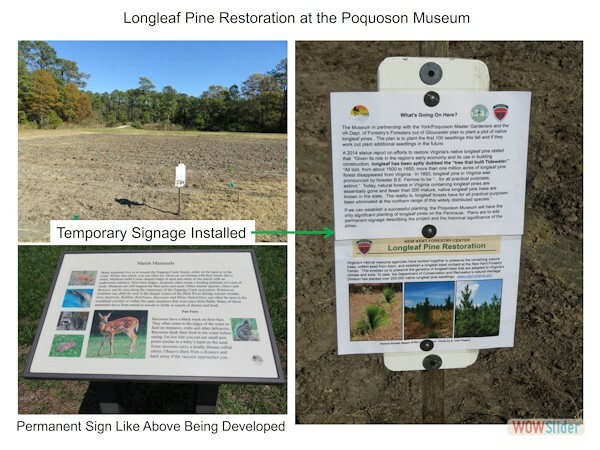 d. Monthly cleaning (washing) of the 18 Interpretive Signs located along the trail. 3. Biweekly mowing and trimming along the Nature Trail. 5. Occasional painting: inside and out. 6. Other needs as announced. Odd Post Office, now called Tom Hunt's Store was built around 1880. The structure served as a general store and a post office. This is because Postmistress Sarah E. Hunt was married to John Thomas Hunt, the store's owner, and the couple shared the building. It was alternately called Tom Hunt's Store and the Odd Post Office. It is believed that the post office possibly acquired its name because of its location next to the Fraternal Organization of Odd Fellows' lodge building. The road intersecting Poquoson Avenue at this location also acquired the "Odd" name. Photographs exist which show both store and lodge, the latter with members posed in front. Mrs. Sarah (Sadie) E. Hunt born in 1872 and died in 1962 was appointed Postmistress in May 1904. She is buried at Tabernacle United Methodist Church with her husband, John Thomas Hunt. 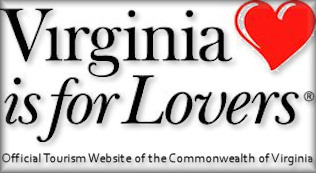 There are many Hunt descendants living in the Peninsula area as well as Poquoson. Tom Hunt's Store is still standing today. Charlie and Georgia McDaniel, long time collectors of antiques, especially items from Poquoson's early days believed that Poquoson's history was too valuable to lose. In the late 1960s, they bought Tom Hunt's General Store on Poquoson Avenue to preserve the turn of the century structure. The store was given status as a historic Virginia building. Thanks to the McDaniel's, the store is full of some original merchandise as well as pieces that came out of other old houses and stores in Poquoson. 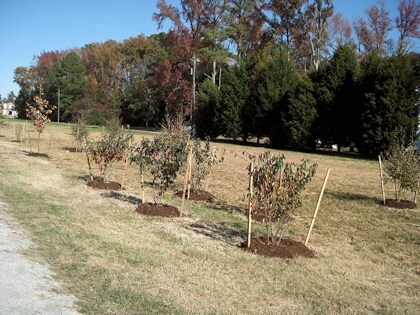 In 2003, The Poquoson Historical and Cultural Museum Foundation purchased the former 15-acre Dryden farm tract on Poquoson Avenue. Those 15 acres have been transformed into a unique historical campus. The campus consists of the circa 1910 farm house (now the museum building), the circa 1940 "Miss Becky's Store", a circa 1930 building once used as a polling place and several other significant agricultural outbuildings. Timing is everything. The McDaniel's decided to donate the store to the Poquoson Museum in 2003, when it became too much to continue looking after. 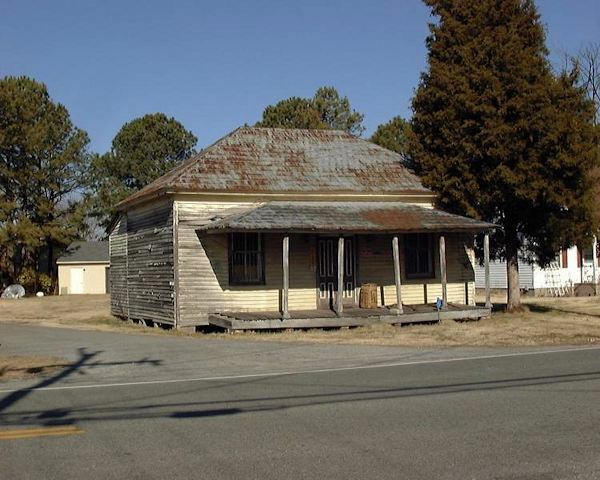 In February 2004, the Museum partnered with the City of Poquoson and applied for a grant through the Virginia Department of Transportation's Transportation Enhancement Program to move and relocate the store roughly a mile down the street to its new home on the Museum's campus. That $100,000 grant provides 80 percent of the project cost and requires a 20 percent match from the locality. But timing in this case wasn't on the Museum's side. The grant application and required paperwork hit one snag after another, some due to the downturn in the economy and more than one staff turnover at VDOT. Even the name of the grant changed. Now it's called the Transportation Alternatives Program Grant. 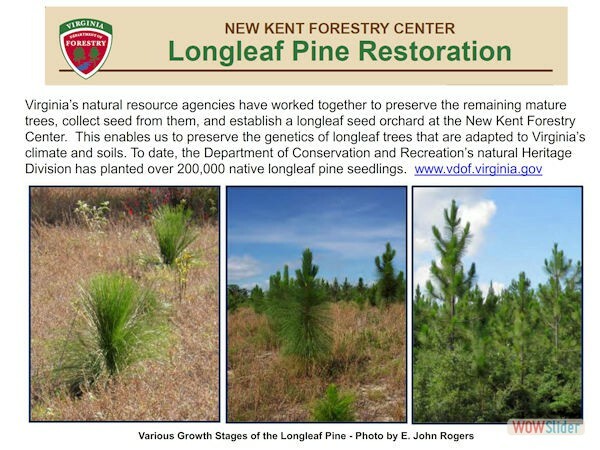 The grant has increased to $150,000 in federal funding with a required $37,500 local match. Hopefully the move of the store is nearing final approval. On March 28, the Poquoson City Council agreed to sign the memorandum of understanding among themselves, VDOT, the Federal Highway Administration, the Virginia State Historic Preservation Office and the Poquoson Historic and Cultural Museum Foundation. Once all the agencies' signatures are in place the next step will be to request bids to move the store. Great news, but unfortunately, it looks likely that the funding to move the store will exhaust the funding remaining in the grant as well as the match funds put up by the museum. Additional funds will be needed to renovate and get the store ready for public viewing. One pressing cost will be the funds needed to replace the existing stamped tin shingles with authentic reproduction metal shingles. Just the shingles and materials are likely to cost on the order of $10,000. The museum will need to raise a considerable amount of additional funds for restoration to get the store to a point where it can be opened up to the public without risking damage to the building. On top of that are the general maintenance costs and the costs of meeting the government's strict standards of historical accuracy. We encourage you to consider becoming a new member of the museum, or renew your current membership. In addition, you can make a donation designated to help renovate the store. Restoration and opening of Tom Hunt's Store will be a great addition to the Museum's unique historical campus and a real plus for our small city. 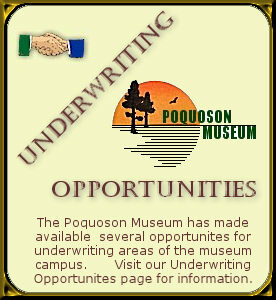 If you would like more information about donating or visiting the Poquoson Museum go online to PoquosonMuseum.com. Or you may call Paul Whitlow at 868-6899 or Cliff Coffman at 869-4025. The dairy shown in the photo above was donated to the museum by Jean Ray and Nathan Forrest in memory of Miss Mary Burcher. According to our sources, Ms. Leslie Cox, who resided on the corner of Hudgins Road and Poquoson Ave., gave the dairy to Miss Mary Burcher. Dairies similar to the one at the museum were used to keep milk, butter, cream and cheese cool until they were needed. During the summer milk and dairy products would be placed in about 8" of water in the summer dairy to keep them cool. It is estimated that the museum dairy was built in the early 1900's. Another type of dairy was the winter dairy. This type of dairy has an open slatted front to allow the cold wind to blow through and cool the dairy products. IIn late August of 2009, museum volunteers started work on restoring this circa 1938 Wash House located on the museum campus. 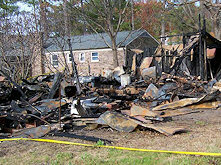 The building had served multiple uses throughout its history and was saved from a disastrous fate when it was threatened by a barn fire at the museum in 2007. Fireman continued to douse the building with water to prevent the Wash House from being consumed by flames. On February 27th, museum volunteers relocated a 1947 Model D John Deere Tractor to the museum, subsequent to engine and other repairs. 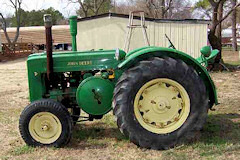 The tractor was donated to the museum by Dan and Alice Phillips. In the December 2003 Poquoson Christmas parade the tractor, pulling a museum float, won second place in the Antique Motorized Division. 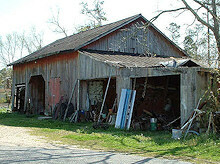 On Saturday, April 12, work began in replacing the barn that was lost in a November 2007 fire. The post-fire cleanup and inital steps in the rebuilding process were carried out by members of the museum's Buildings & Grounds Committee. 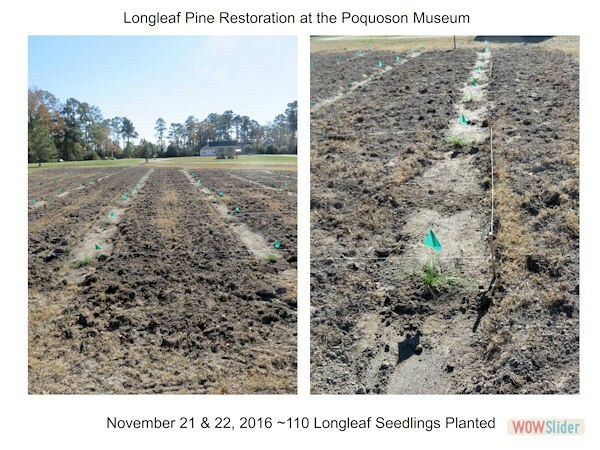 With help from the community, the rebuilding project has continued through the summer and fall, and is well on its way to restoring an important part in the museum's effort to collect, preserve and present the history and heritage of Poquoson, Virginia. If you would like to help in the reconstruction work, or want information on the project, please call 868-9116. 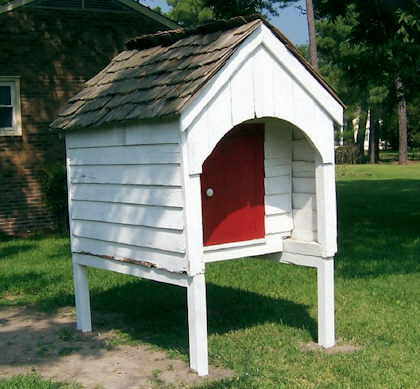 Poquoson Museum, PO Box 2163, Poquoson, VA 23662. 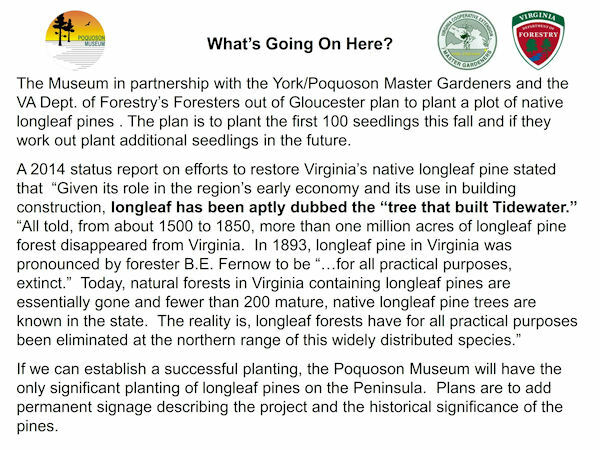 The construction phase continued through the summer and early fall in developing the Poquoson Museum's "Marsh Walk". You can view background information, check on its progress and view the project photo album by following the link below. The membership of the Poquoson Museum was presented with a resolution by the Poquoson City Council, commending it for its vision and determination in establishing a museum in the Poquoson community. The resolution was signed by all City Council members and placed on a handsome plaque. Mayor Gordon Helsel presented the plaque on behalf of City Council, with museum president Diane Holloway accepting the resolution on behalf of the museum membership. The resolution will be proudly displayed in the museum for visitors to view, an enduring appreciation and reminder of how the Council and other city departments support the museum in its mission to preserve, document, interpret and promote the history and heritage of Poquoson, and in its effort to educate and share this with the general public. 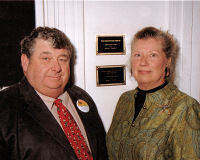 Mr. and Mrs. Manfred C. Freeman, Jr.
Linda R. Freeman and Manfred C. Freeman, Jr. are two of the most dedicated patrons of the Poquoson Museum. Their generous gift has prompted the museum to name the Marsh Walk Trail as an enduring remembrance of Manfred's grandparents, Edward R. and Emma Moore Freeman. © 2016 Poquoson Museum. All rights reserved.